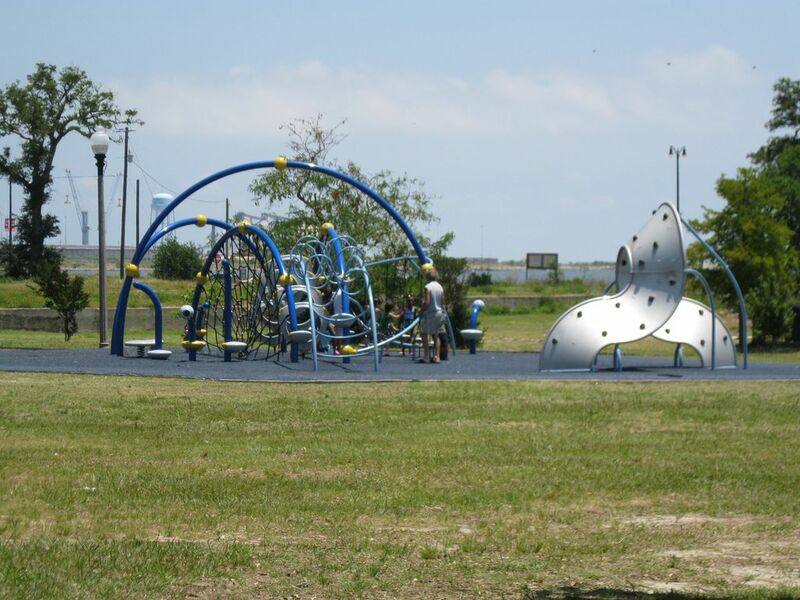 Within walking distance to the beach, and public fishing pier you will also find a fitness center in the Community Center, a large Splash Pad and Park down the street. The Island View Casino is just 6 blocks away as is Downtown Gulfport. With the Re-Vitalization of the area, many pubs and award winning restaurants have chosen this location to open. This newly renovated house is waiting for your family and friends to join you for a great vacation. With the 3 Bedrooms downstairs and the Large Bunkroom upstairs it is perfect for families with children to gather. The covered porch is a great place to relax and drink your morning coffee, the back deck is great for grilling. Keep your pets and kids secure in the large fenced backyard. The bedroom with the King Bed has a 32' LCD Tv for your enjoyment. The Living room with the sofa sleeper has a 42' LCD/DVD TV. The bunkroom that sleeps 11-12 has a 37' TV just for the kids. The kitchen has stainless appliances and granite countertops. There is a media area with a desk for those who just can't get away. I am a school teacher, and my husband is a Pharmacist. Because we enjoy staying in VRBO's when we travel we decided to buy some ourselves. We like staying in VRBO's so we have decided to buy in our own area so that we can personally maintain them. We also love the Gulf Coast and wanted to share it with others. We loved our stay! Great amount of space for 7 people and 3 dogs. We will be back! We enjoyed staying at your house. The only issue I had was that most of the beds were too hard. I broke my hip in 2014 and after sleeping on one of the beds that leg stayed numb. The kitchen and appliances were nice and adequate for all of our family. The air conditioner works great. That was because someone kept turning the air down for 1 person and the rest of us froze. I wasn't expecting to freeze. We had to leave several food items because we didnt have enough room to bring it all home. I was hoping that your next guests would be able to use it. . We enjoyed our stay and the house was convenient to all the places we needed to go. Thank you very much. Glad y’all enjoyed your stay! Usually with 12 beds in the house guests can find one that suits their specific needs. Remember I give repeats a discount when you book with me. Hope to see y’all again next year! Great location and accommodation where off the chain. Very easy to find and connect to surrounding area. June 10 - 16,2018. The house was charming and very accomdating for our large family of 15. Everything was available to provide comfort and relaxation. Our family was from two great grandmothers to small children and random ages in between. The house is located in a quite neighborhood and the neighbors were friendly. We would highly recommend to other visitors. We would definitely love to stay again. Great location for our family. Absolutely amazing. Great experience. Great owners. Perfect for our family. Very clean. If you have a big family, this house if great. Three bedrooms downstairs and a big bunk room with full bath upstairs for the kids. Cozy front porch, big back yard and on site parking. Very close to great restaurants and shops in in Long Beach. Waterpark, deep sea fishing, Margaritaville kids arcade all near by. Can't wait until the Gulfarium opens. There is a lot to do on the Mississippi Gulf Coast! One and a half blocks from the Beautiful Gulf of Mexico, in Gulfport, Ms. Just down from the Public Fishing Pier and Splash Pad. Just six blocks from the Island View Casino and Downtown Gulfport, this house is perfect for everyone.